With the Windows Server/Guest already added! *The priority setting for the application. 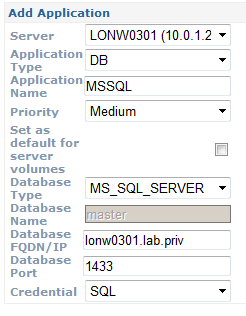 **Select to indicate to Balance to associate newly discovered server volumes to this application.